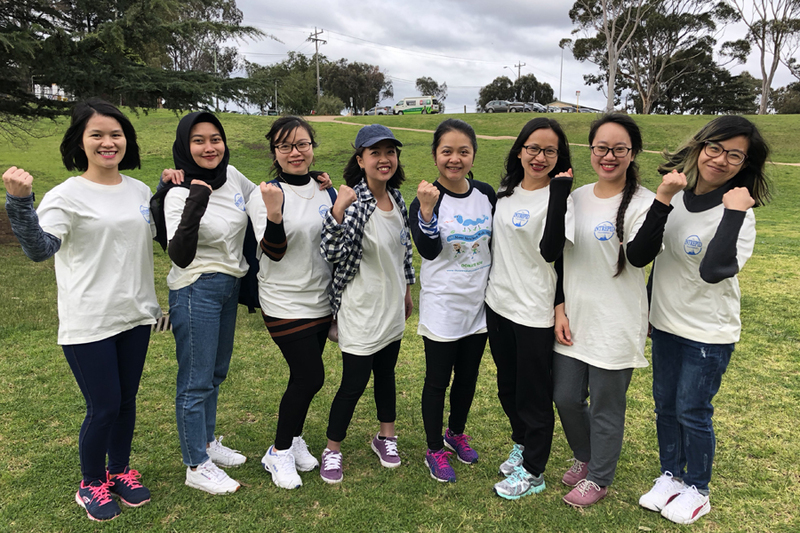 Blue Dragon’s friends and supporters from around Australia converged on Merri Creek in Melbourne on Sunday to walk a marathon for the children of Vietnam. Seventy walkers took to the trail, and with the incredible support of The Intrepid Foundation, the philanthropic arm of Intrepid Travel, close to $77,000 was raised by the end of the day, with donations still coming in. The Intrepid Foundation matched sponsorship that walkers raised, greatly increasing the total amount raised, and also provided volunteers to provide support along the way. Huge thanks to corporate entrants Cooper Investors and Roll’d, who are also major supporters of Blue Dragon Children’s Foundation. This money means more children in Vietnam will receive essential services to be safe, go to school, and be reunited with their families!